Five night packages start at $9000 for 6 persons! Our Gold Coast Luxury Wedding package includes everything you want for your intimate beachside wedding all together; spectacular beachfront accommodations for the two of you and up to 22 guests, and a romantic private beach front wedding. Sleeps from 2-24 guests or more in the beautiful luxury beach front property. The package includes 5, 6 or 7 nights stay in from one to four individual units, each featuring 3 bedrooms and centered around a spacious courtyard with pool. Whether you are planning an intimate affair for ten or a gala reception for over 100, we can modify most menus and make your event exactly how you want it to be. Hawaiian Island Weddings remains firmly attached to its founding objectives: exceptional service, attention to details, top-notch luxury oceanfront properties, great food, great music, a welcoming atmosphere. Let us plan your wedding of a lifetime here in enchanting Maui, Hawaii. Your memories of your event will stay in your hearts forever. Relax... sit by the pool, sip a mai tai and enjoy the views from these extraordinary luxury beach front Maui villas. Your beachside wedding and reception are steps away from your villa. 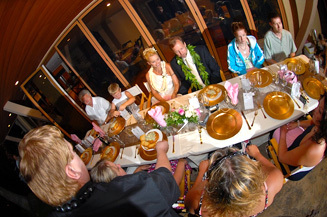 You may include everything; from flower archway, to sunset dinner reception and Hawaiian Hula Show. $1200 security Deposit and $350 cleaning fee per villa. 1 Receptions include all guests of the villas, a 20% gratuity is added. * Must purchase Option 2 to have a reception on property. My husband Todd and I were fortunate enough to have are stay given to us by our friends. After attending a conference on Oahu, we flew over to Maui in November of 2010, for our first experience on the island. high stone wall and lush greenery which made it feel like a secluded oasis. accompanied by the sound of someone sounding a conch shell, as the sun would hit the horizon. with multiple heads and temperature control, large and comfortable beds, hardwood flooring, travertine accents - gorgeous! We wanted for nothing. 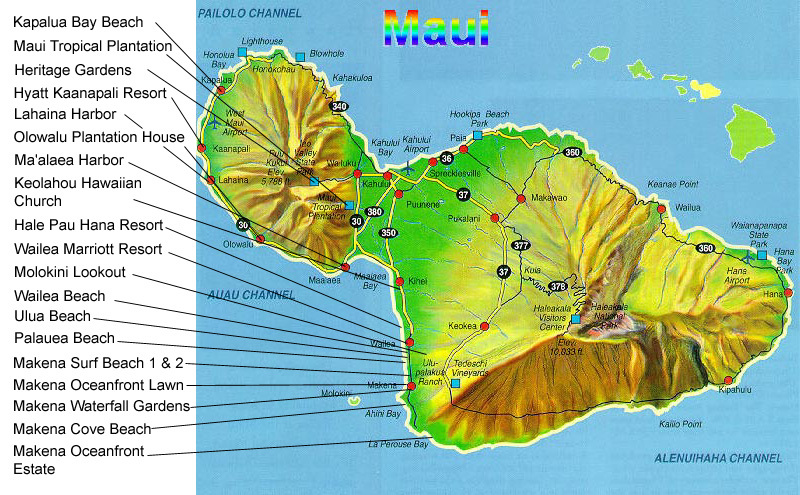 shopping malls, played at two of Maui's golf courses and experienced a few of its snorkeling spots. return to this island for another vacation!